Whether you’re a custom home builder or demolition crew, construction and contracting can be messy work. Fortunately, a hauling company will lighten your load. Schaefer Trucking Inc. in Columbia, IL, provides dump truck hauling to make your job easier and keep projects on schedule. They explain three benefits of having a dump truck service to clear your construction site. When you have a pile of construction debris, you’ll probably need to take multiple trips to the dump with your own vehicle. It could take hours to load, transport, and unload everything. With a hauling company, on the other hand, you’ll save time and energy. The professionals will take everything off your hands in one trip, leaving you to focus on more important tasks. Many people haul their own junk or debris to save money. But in reality, handling it yourself may be more expensive than hiring a dump truck hauling service. Larger loads typically cost less per unit, meaning your company can receive a bulk price discount. That means the more you haul, the more you save. There may also be hidden costs in doing the work yourself, including fuel and dump charges, which are included in the price of a truck rental. You’ll also save on the cost of labor required if your employees handle and deliver the materials. Hazardous materials, such as sharp objects and toxic waste, may be hiding in construction debris, causing a safety risk for you and your employees. Professionals are trained to handle dangerous objects and substances and prevent injury. Managing a heavy load can also be hazardous if you don’t take the proper safety precautions, such as using equipment incapable of handling the weight of the waste. Professionals have the machinery and qualified drivers to haul any size load properly. 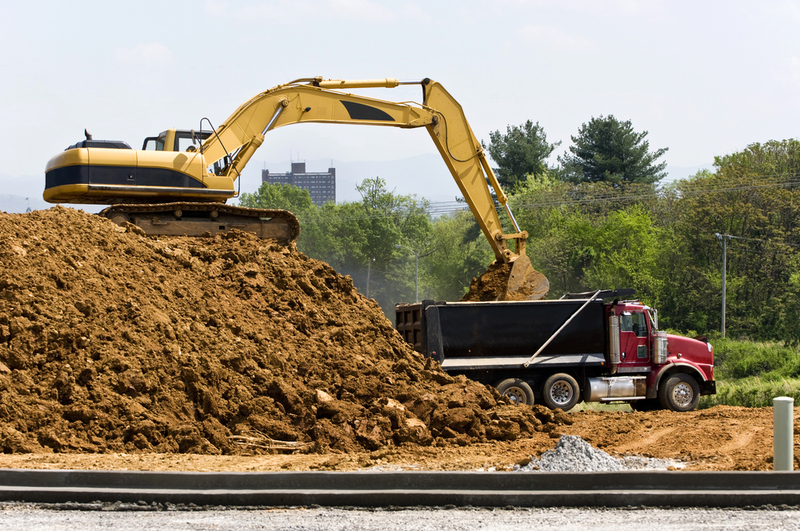 If your Columbia company has a large load of construction debris, dirt, or other items that need to be removed, trust Schaefer Trucking Inc. for the job. This locally owned business prides themselves on keeping your project on schedule, and their well-maintained fleet will get the job done as efficiently as possible. Call (618) 281-7393 to schedule a pickup, or visit their website to learn more about their services.